Botolph Bridge, now within urban Peterborough, lay beside an important crossing of the River Nene and once formed part of a well-known medieval vill, referenced in Domesday Book. Botolph Bridge was noted for its well preserved medieval earthworks but since the late 1980s these have gradually been destroyed by housing development. An earthwork survey carried out in 1982 amply demonstrated the complexity and importance of the site, showing a church and manorial complex with house plots strung out along an adjacent road and fields separated from the main settlement by a hollow way. 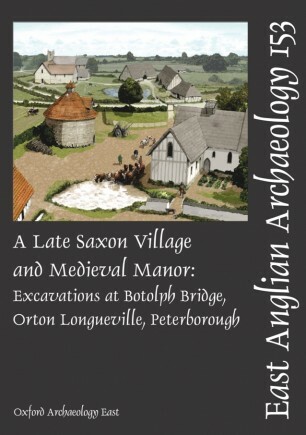 Excavation demonstrated that the manorial enclosure had replaced earlier house plots by c.1200. In the later 14th century, there was considerable investment by the manorial holders, the Draytons. A manorial farm was built above earlier fields, with stone buildings constructed around a courtyard including a farmhouse, dovecote and ancillary buildings. Within the manorial enclosure itself, further agricultural buildings were laid out. All these buildings had been abandoned by c.1600. The church, located just north of the excavation area, was finally demolished in 1695. Earthwork survey in 1982 demonstrated the site’s importance, showing a church and manorial complex with house plots along a road and fields beyond. 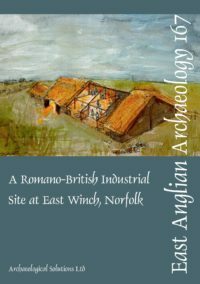 Excavation demonstrated that the manorial enclosure had replaced earlier house plots by c.1200. In the later 14th century, there was considerable investment by the manorial holders, the Draytons.